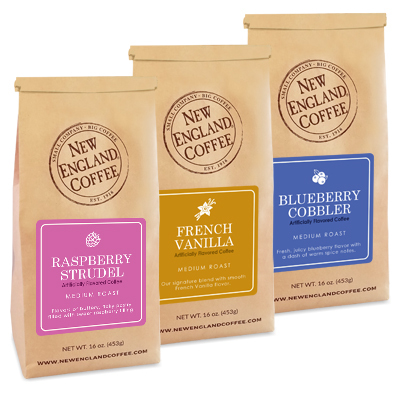 Raspberry Strudel, French Vanilla and Blueberry Cobbler coffees, 3 for just $21. Available for a limited time and while supplies last! 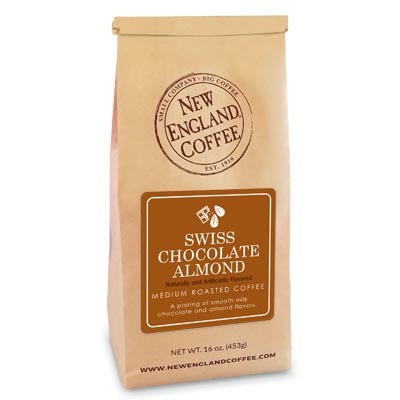 I love New England Coffee. Do you have the Red White vand Blue in Decaf? I so please let me know I would like to order some.